Arsenal face Tottenham in their League Cup quarter-final clash at the Emirates on Wednesday night, and Unai Emery has ongoing concerns due to injuries. The Gunners saw their 22-game unbeaten run come to an end at Southampton at the weekend, and so the Spanish tactician will be looking for a positive response from his players. The pressure will certainly be on to get that response given the magnitude of the game and that it’s against their north London rivals, but Emery will have late concerns heading into the encounter due to injuries. As noted on the club’s official site, although there is good news in that Stephan Lichtsteiner is back in full training, Hector Bellerin, Sead Kolasinac and Shkodran Mustafi are all set to be assessed ahead of the Spurs game with injury troubles. 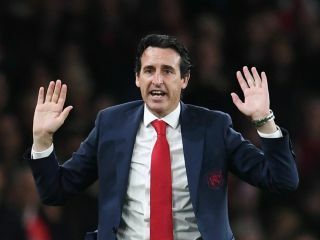 It remains to be seen if they are able to recover in time as ultimately Emery will hope to be as close to full strength as possible for such a big game, but the Arsenal boss will also have to balance that with not taking any unnecessary risks in seeing his players aggravate their problems and be sidelined for longer than initially feared. It’s a busy time of the year with the Gunners taking on Burnley, Brighton, Liverpool and Fulham between December 22 and January 1, and so it may be sensible not to risk any of the names mentioned above if they have not fully recovered. Nevertheless, it’s Tottenham at home in the Cup, and so Emery will be fully aware of what securing a positive result and advancing in the competition at the expense of Spurs would mean for the supporters and that could yet influence his decisions when selecting his squad.